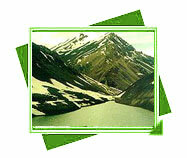 Manali is an important hill station of North part of India and is the destination of thousands of tourists each year. 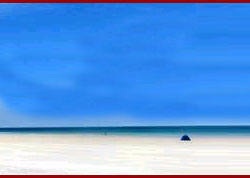 Its cool atmosphere provides a wonderful haven for the ones trouble by the hot Indian summers. Manali is also famous for adventure sports like skiing, hiking, mountaineering, White water rafting, trekking, Jeep Safari, and Camping. Manali famous as the "valley of the Gods" The Hill Resorts of Manali presents an amazing array of charming spots to the tourists. For the adventure seekers there are sports ranging from skiing, hiking, mountaineering, paragliding, water rafting, trekking, kayaking, and mountain biking. You may even get skilled for Mountaineering and kayaking at the Mountaineering Institute at Solang Nullah. The Beas River is tremendous for Kayaking. Trekking to the Solang Valley and Manalsu Nala are great. The slopes of Solang Nullah attract a lot of tourists in the summer season for the paragliding just like Beas presents tremendous adventure activities in the monsoons for rafting. Manali is one of the best hill stations of India. 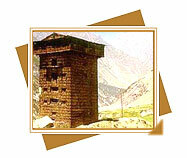 Manali's importance as a Hill resort is doubly enhanced due to its closeness to the snowline. The exceptional natural beauty of Manali attracts thousands of honeymooners and adventure seekers every year to this charming hill station. The place presents ideal environments for trekkers and adventure sport lovers. In brief, Manali-the real "valley of the Gods" is an ideal place for the ones in search of both adventure and calm. 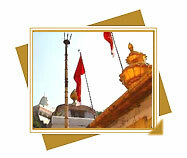 Along with hundreds of mythical legends about the origin of a temple in different parts of India, the very popular temple of Chintpurni temple is of the same type. This sanctuary is located in Parbati valley of Kullu district. There is a Rest House at Kasol. R.O. 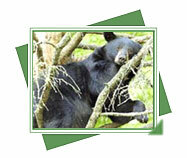 wildlife Kasol provides information and help to visitors. Uphill walk along Garahan Nala from Kasol through dense majestic Deodar and Fir forests is enjoyable.